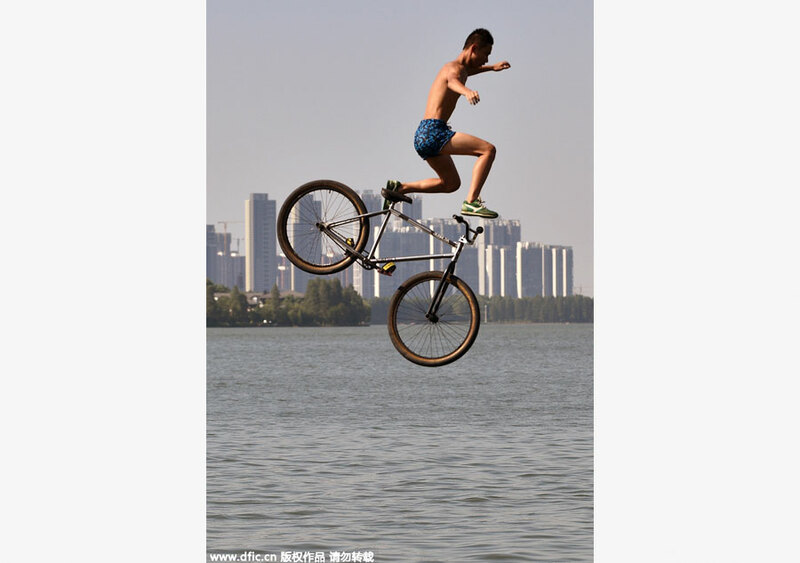 Professional cyclers ride and pose near the lake near Wuhan University on Aug 2. 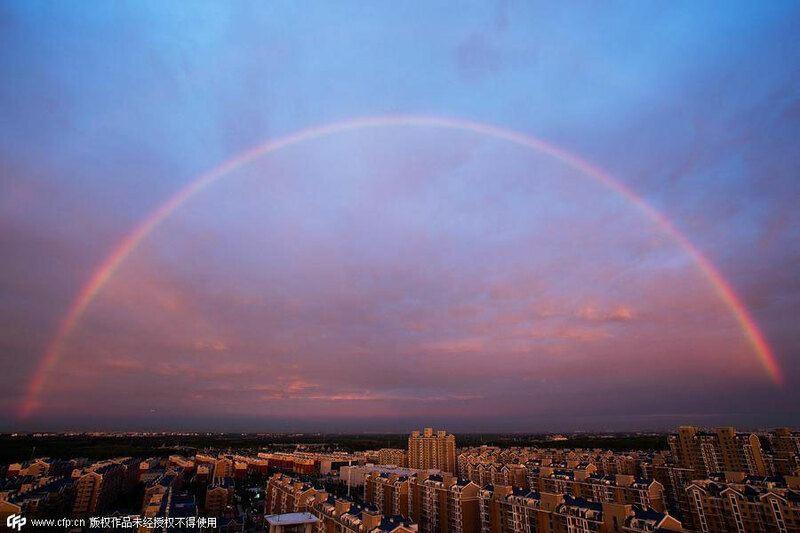 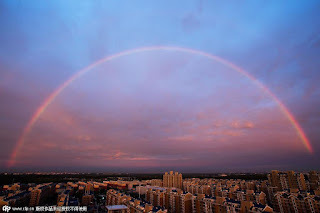 A rainbow adds colors to the Beijing sky, Aug 3, 2015. 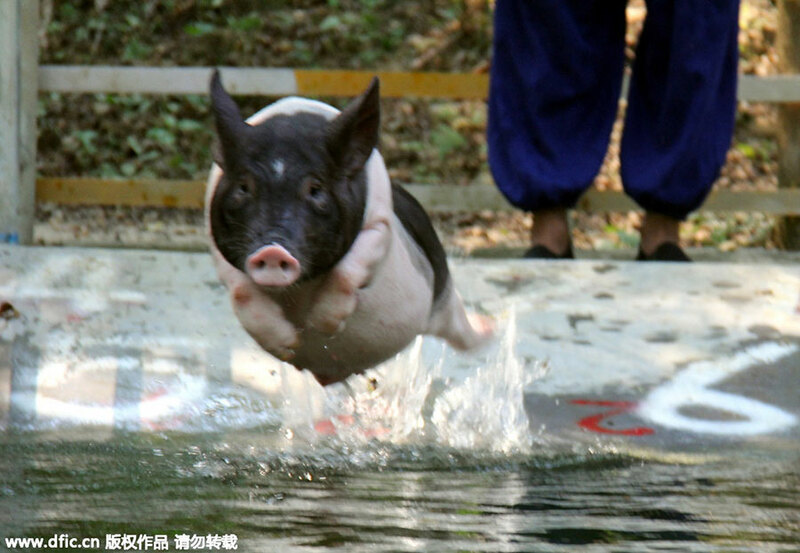 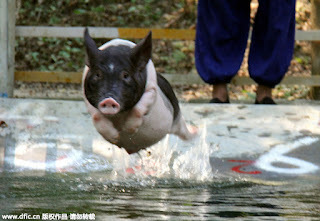 A pig plays in water to beat summer heat in a zoo in Qingyuan, Guangdong province, on Aug 6. 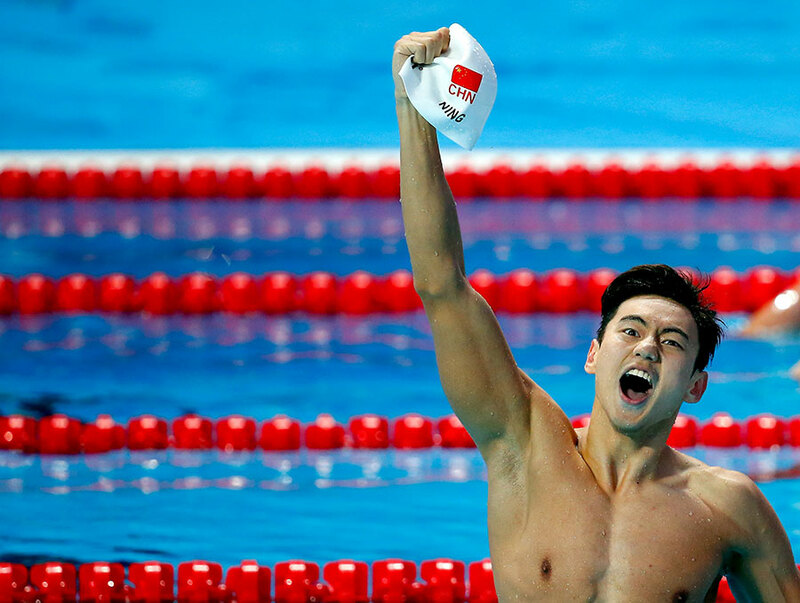 China's Ning Zetao celebrates after winning the men's 100m freestyle final at the Aquatics World Championships in Kazan, Russia, Aug 6, 2015. 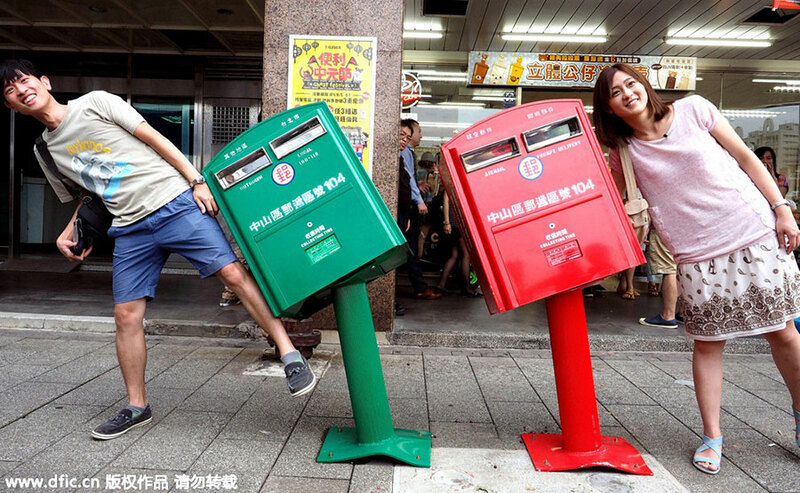 A young couple poses beside two letter boxes bent to one side by recent Typhoon Soudelor in Taipei, Taiwan, August 9, 2015. 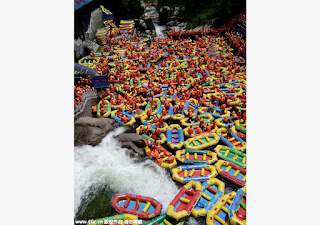 Rafting gets crazily popular during summer heat at a scenic spot in Raoshan town, Lushan county, Henan prvovince, on July 25. 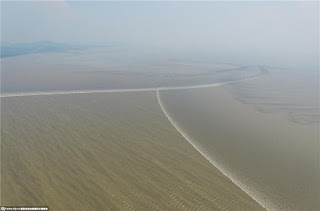 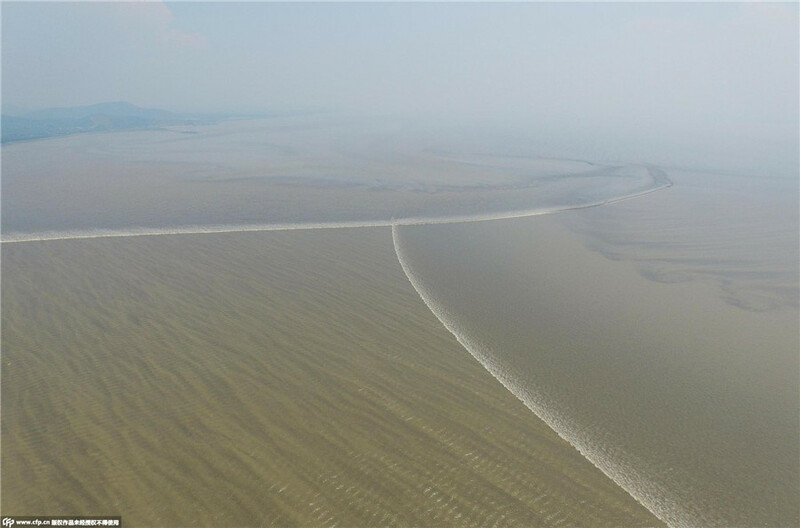 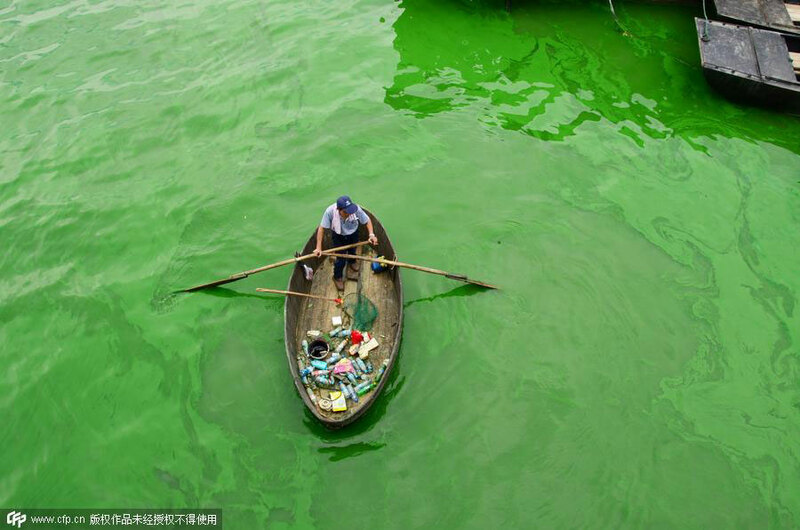 Fisherman rows a boat on Chaohu Lake covered with algae on Aug 5.